Members of Friends of Ronan Parks and Trails donate $500 to offset costs of the new playground at Dixon Elementary School. 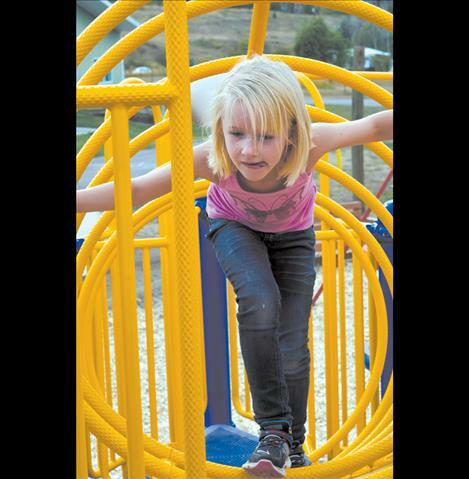 Amelya Delay, 7, hangs around on the new playground equipment. Principal Crista Anderson helps kids on the climbing jacks. DIXON — Friends of Ronan Parks and Trails (FORPAT) stopped by the Dixon School District to drop off a check for $500 to help the school with the cost of maintaining their new playground, but the group didn’t stop there. 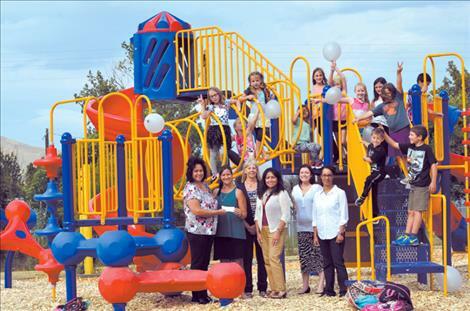 As soon as school started, group members Carole Lankford and Eleanor Vizcarra made plans to visit Mission and Dixon with donation checks to help with costs associated with their newly built playgrounds. Mission is working on the second phase of their playground. 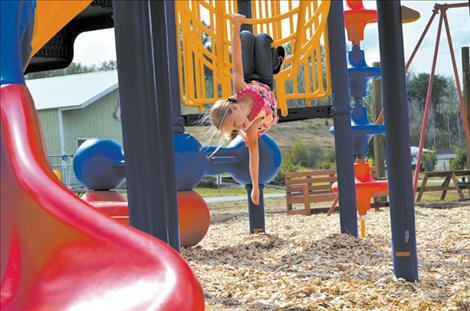 The nonprofit group works to raise money to support parks and trails on the reservation with a focus on giving children places to be active. 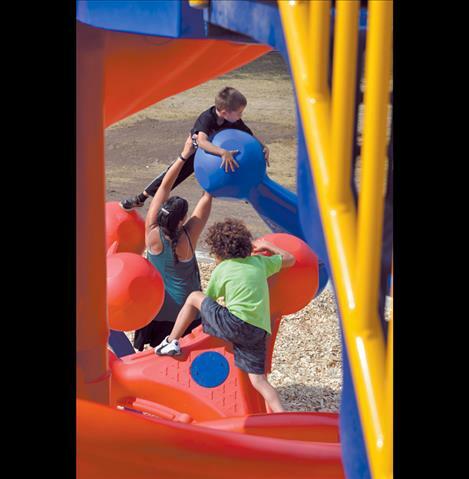 “We wanted to support the kids and school playgrounds are part of that,” Vizcarra said. One of the group’s main fundraising events is the Mission Valley Kids Walk, better known as the Superhero Run.